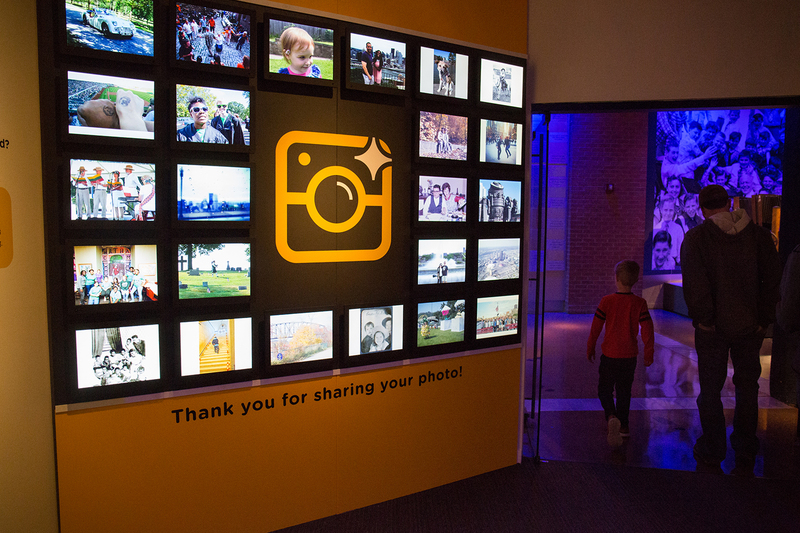 The #Pixburgh: A Photographic Experience exhibition is closed. 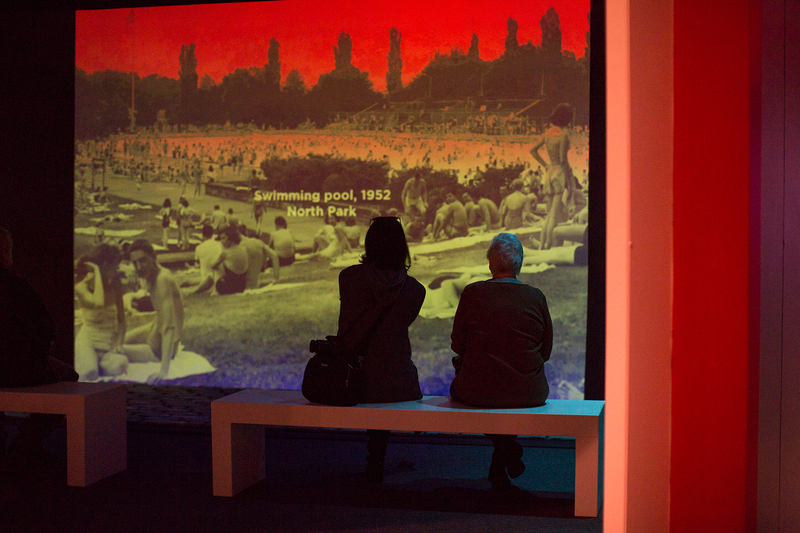 Please enjoy these video highlights and other information about this past exhibit. Experience life through the lens of Pittsburghers with the new exhibition, #Pixburgh: A Photographic Experience. Don’t miss the exhibit before it closes at the end of the month! With nearly two billion digital images taken daily, photography connects generations and remains one of the most popular means of self-expression, thanks in part to popular social media platforms such as Facebook, Instagram, and Twitter. 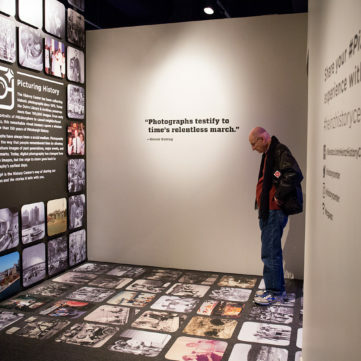 The #Pixburgh exhibit highlights Pittsburgh’s passion for photography from the early 1850s through today, culled from the History Center’s extensive vault of nearly one million photos. Many of the nearly 400 featured photographs have never been displayed to the public. 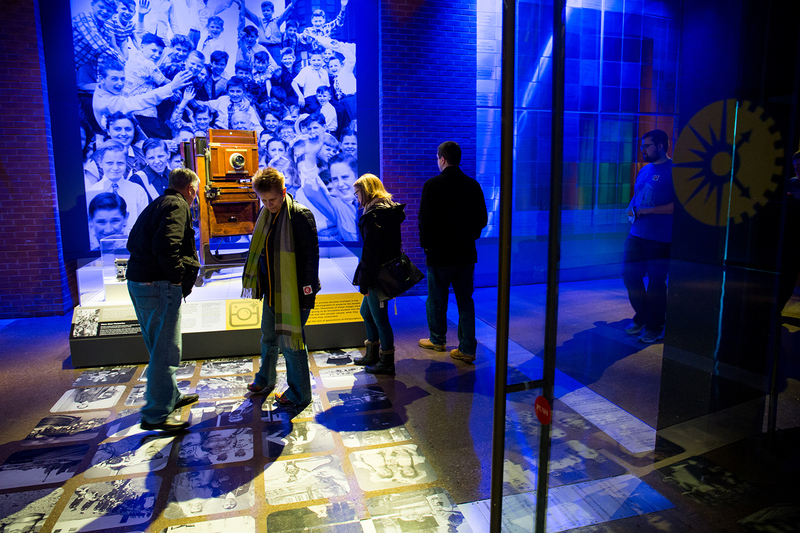 Each image featured in #Pixburgh reflects a wide variety of subjects and time periods, from turn-of-the-century mugshots to the 1960 World Series, from the 1936 St. Patrick’s Day Flood to the Westinghouse Skybus, and from early “selfies” to Polaroids, all while exploring Pittsburgh’s cycle of change and renewal. 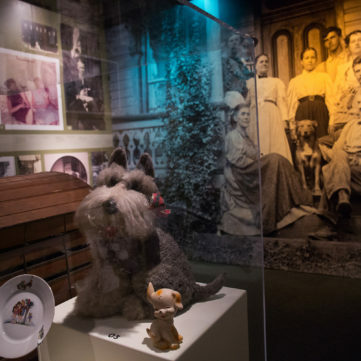 With images featuring social gatherings and holiday traditions, family dinners and beloved pets, historic events and unforgettable milestones, the exhibit showcases the similarities between the subjects Pittsburghers photographed a century ago to what is captured by our social media-savvy society today. 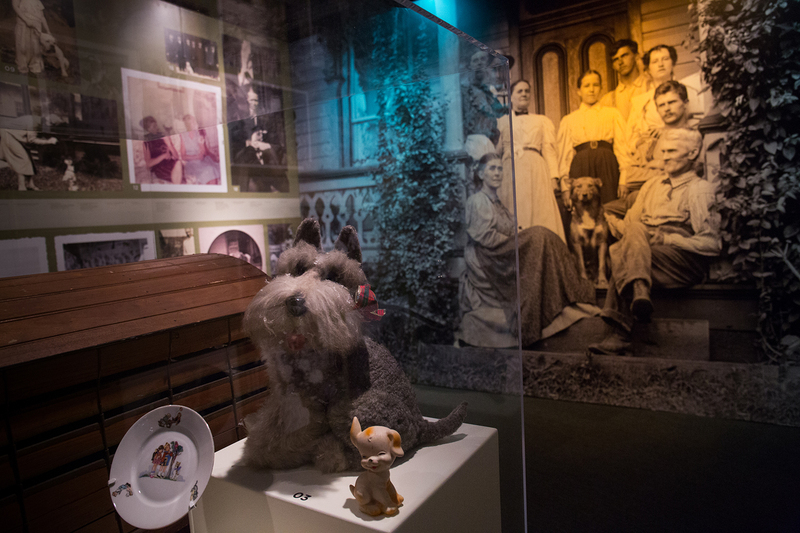 A special area focusing on dogs, cats, and other beloved family pets. 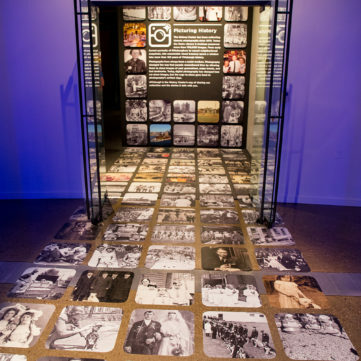 The exhibit also includes artifacts on loan from the Smithsonian, including a nine lens wet plate camera from the 1880s that was used to take multiple images at the same time and a sheet of uncut gem tintypes from 1870. 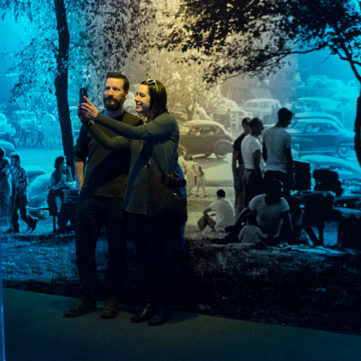 Both Smithsonian artifacts demonstrate the evolution of lower-priced, faster-paced camera technology, as well as Americans’ ever-increasing love of photography. Families will enjoy several interactive activities throughout the #Pixburgh exhibit, including an immersive photo slideshow area that encourages visitors to play the role of museum curator and guess the date and location of historic images; a hands-on children’s section where kids can play a special photo matching game; and a special “Through the Lens” section where visitors can gaze through an oversized lens to see images from the photographer’s viewpoint. 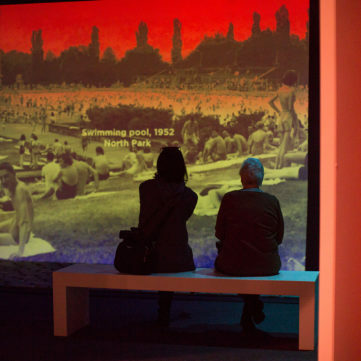 From the darkroom to the digital era, #Pixburgh provides visitors with a compelling glimpse into how Pittsburghers chronicle their city and their own lives in a format that’s more popular than ever. 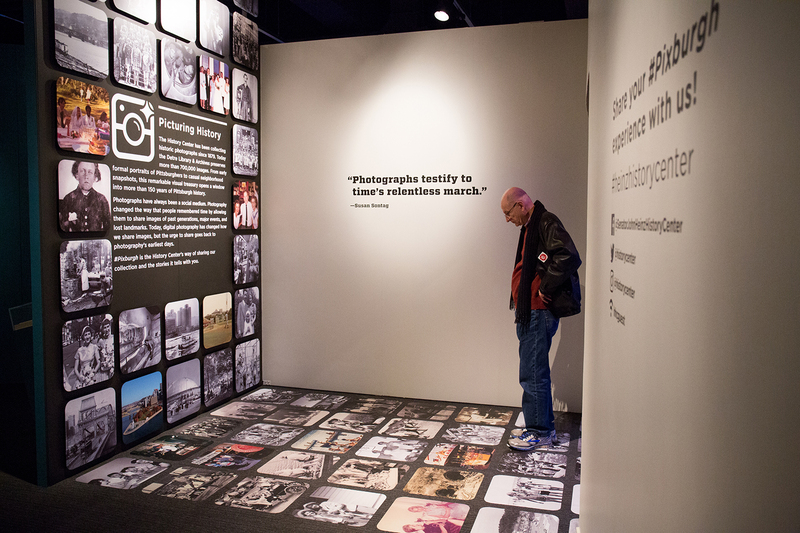 If you could add one of your own photos to #Pixburgh: A Photographic Experience, what would it be? 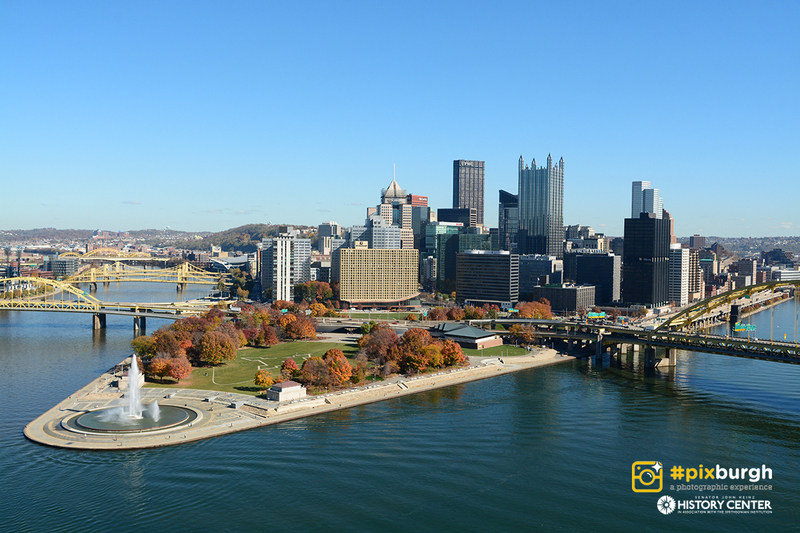 We invite you to dig through your photos, flip through your albums, and check your phone to find a photo that perfectly captures your Pittsburgh experience. Please submit your photo to us using the form on our submission page. We ask for some information that will help us share your Pittsburgh story. Photos will now be included online in a photo gallery. #Pixburgh: Be a Part of History! Help the History Center Get Outdoors! Oh Strip District, Where Art Thou? 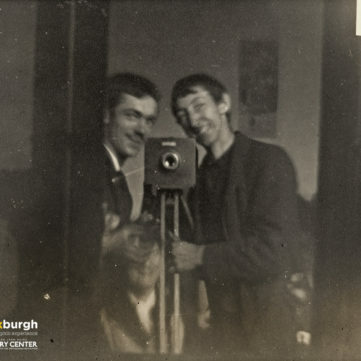 Could this be the oldest photograph of a Pittsburgher? … Maybe. 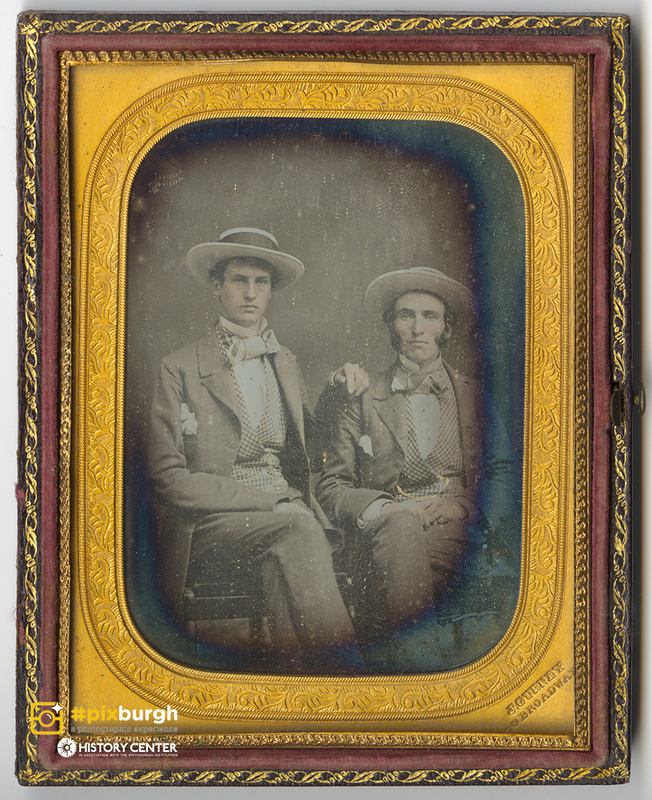 Read the transcript for the #Pixburgh Daguerreotypes video. Read the transcript for the #Pixburgh Early Selfies video. Read the transcript for the #Pixburgh Dogs video. Read the transcript for the #Pixburgh Benjamin Tucker Tanner video. Read the transcript for the #Pixburgh Mystery Photos Part One video. Read the transcript for the #Pixburgh Mystery Photos Part Two video. Read the transcript for the #Pixburgh Archivists video. Read the transcript for the #Pixburgh Mon Wharf video. 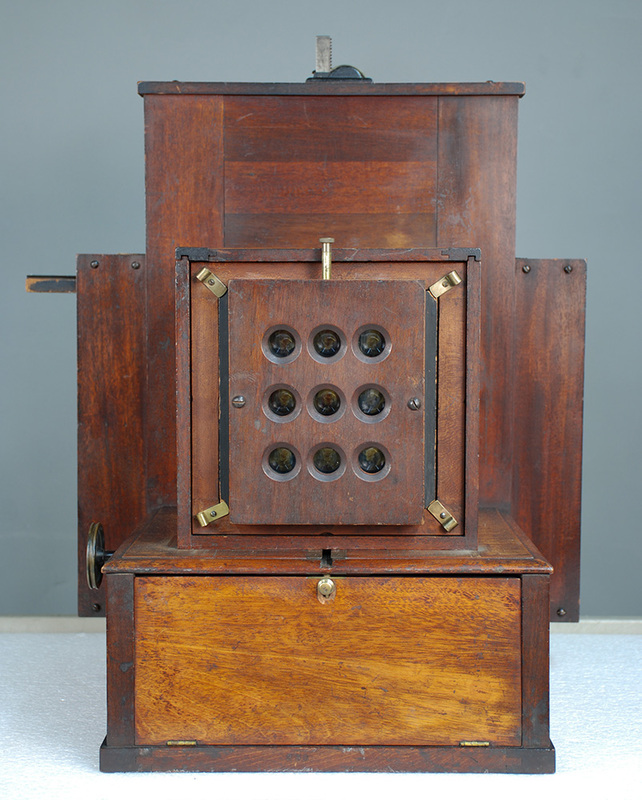 Wing’s Patent nine-lens multiplying camera, late model, Dec. 4, 1880. With the advent of the tintype in the 1850s, photographers increasingly sought new ways to produce as many images as possible from one plate. By combining multiple lenses and a moving plate holder, Simon Wing of Maine devised a “multiplying camera” in the 1860s that could take up to 72 tiny images from one sitting. Courtesy of the National Museum of American History, Smithsonian Institution. 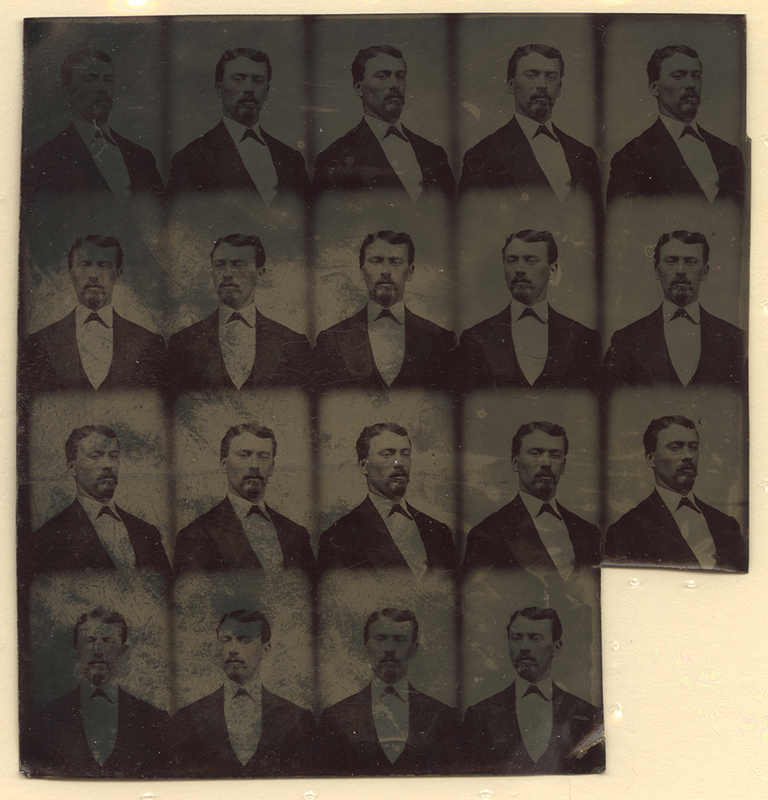 Sheet of uncut gem tintypes, c. 1870. These uncut tintype portraits testify to the relentless search for ways to make more photographic images as cheaply and quickly as possible. 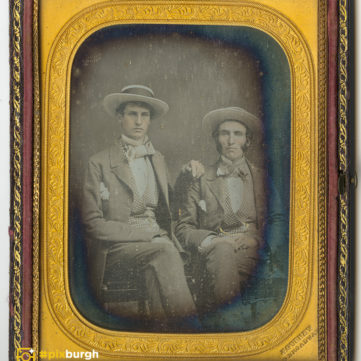 Tintypes—images created by printing a direct positive on a thin sheet of coated metal—were an inexpensive option that became widely available around the time of the Civil War. In fact the war increased the popularity of giving and receiving photos of friends and loved ones. By the 1870s, many different types of “multiplying cameras” could produce anywhere from four to 72 images. Benjamin Bakewell, Jr. (left) and companion, c. 1852. Benjamin Bakewell, Jr. (left) and companion, c. 1852. His passport indicates that dapper Benjamin Bakewell was 5’11” with blue eyes and brown hair. Named for his grandfather, a famous glass manufacturer in Pittsburgh, Bakewell began working for the firm in 1859. Gift of Leila McKnight, MSP 272, Detre Library & Archives at the Heinz History Center. Brothers Frederick (left) and Thomas (right) Gretton, 1882. Brothers Frederick (left) and Thomas (right) Gretton, 1882. 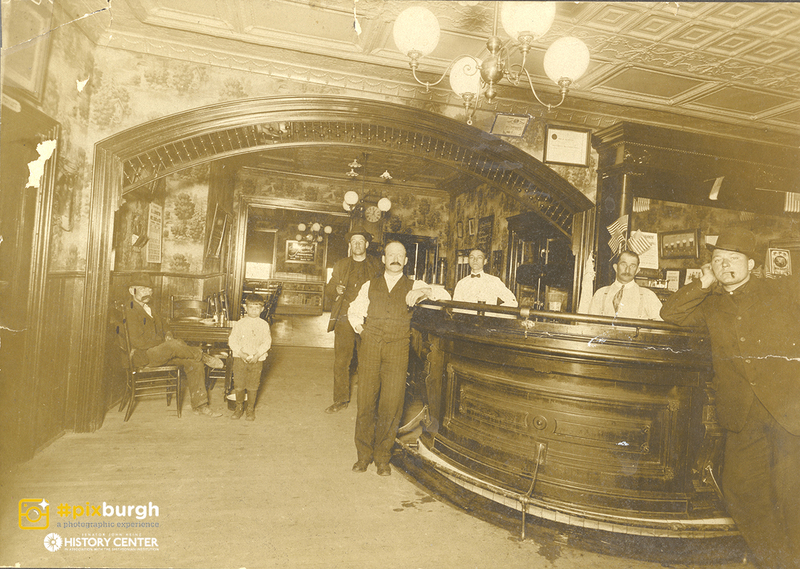 College educated Welsh immigrants Frederick and Thomas Gretton arrived in Pittsburgh in 1881. Two days after settling on the South Side they began working at J&L Steel. Frederick, a chemist, became interested in photography and documented the people and buildings of J&L as well as the surrounding community. Gift of the estate of Mrs. Wilbur F. Galraith, MSP 328, Detre Library & Archives at the Heinz History Center. 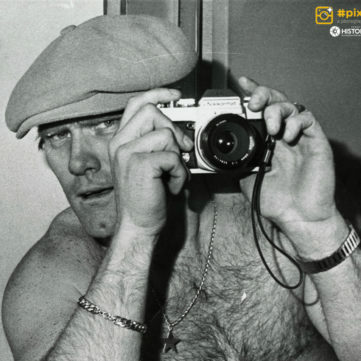 Though it looks like a selfie taken in the mirror, photographer Morris Berman snapped this photo of Bradshaw likely holding one of Berman’s cameras. Gift of Morris Berman, PSS 43, Detre Library & Archives at the Heinz History Center. 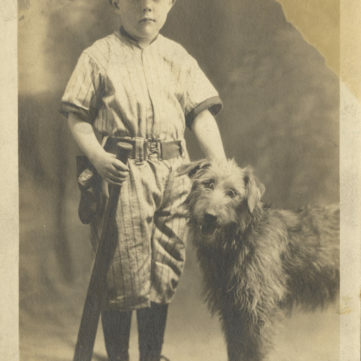 James Cox Barrett poses in his baseball uniform with his faithful dog, 1920s. Gift of John Borger, 2009.0017, Detre Library & Archives at the Heinz History Center. Evelyn Evans posing after a day hunting in the field, 1950s. Evelyn Evans posing after a day hunting in the field, 1950s. Who said only men hunt? 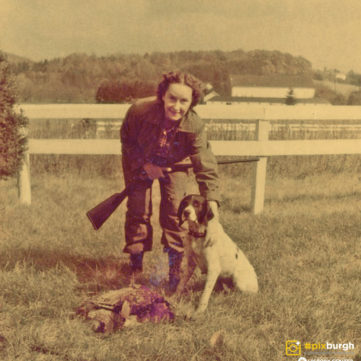 A member of the family that ran Macbeth-Evans Glass Company, Evelyn Evans was an avid outdoorswoman who hunted and was active in dog shows and horse shows. 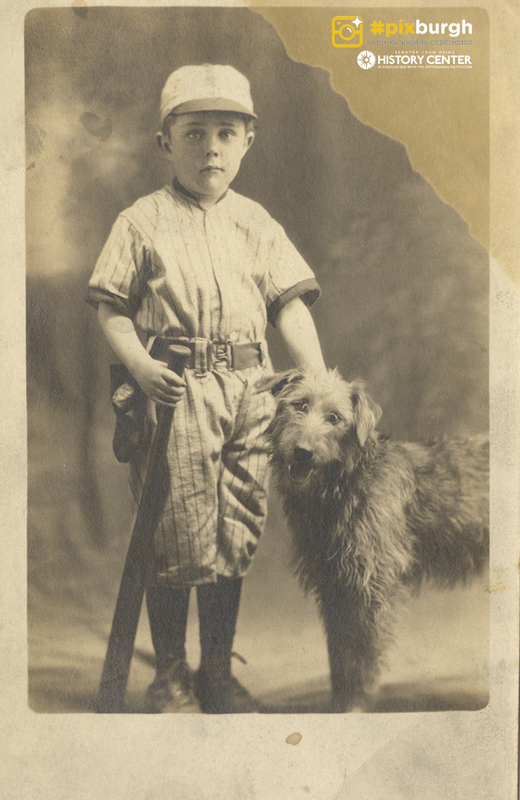 Evans Family papers and photographs, MSS 818, Detre Library & Archives, Heinz History Center. 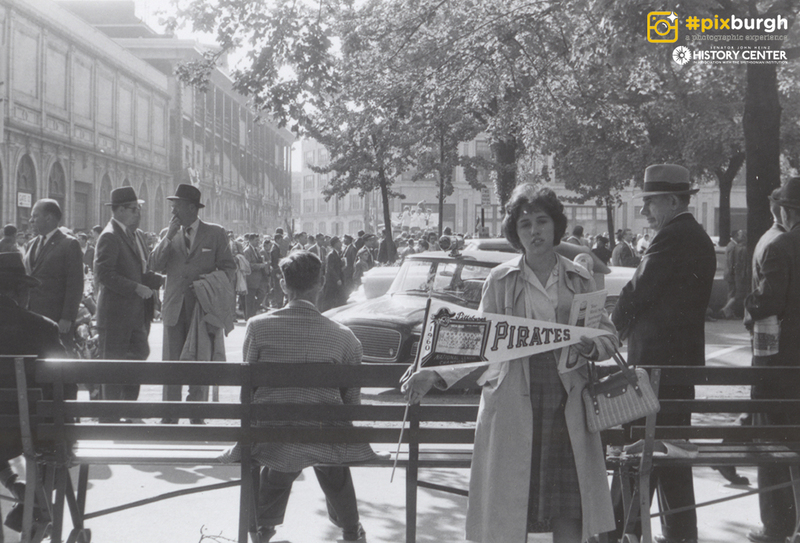 Diane Taylor holds a Pirates pennant during the World Series, 1960. 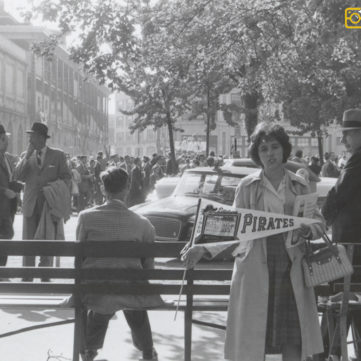 Diane Taylor holds a Pittsburgh Pirates pennant outside of Forbes Field during the World Series, 1960. Taylor Family Collection, Detre Library & Archives at the Heinz History Center. 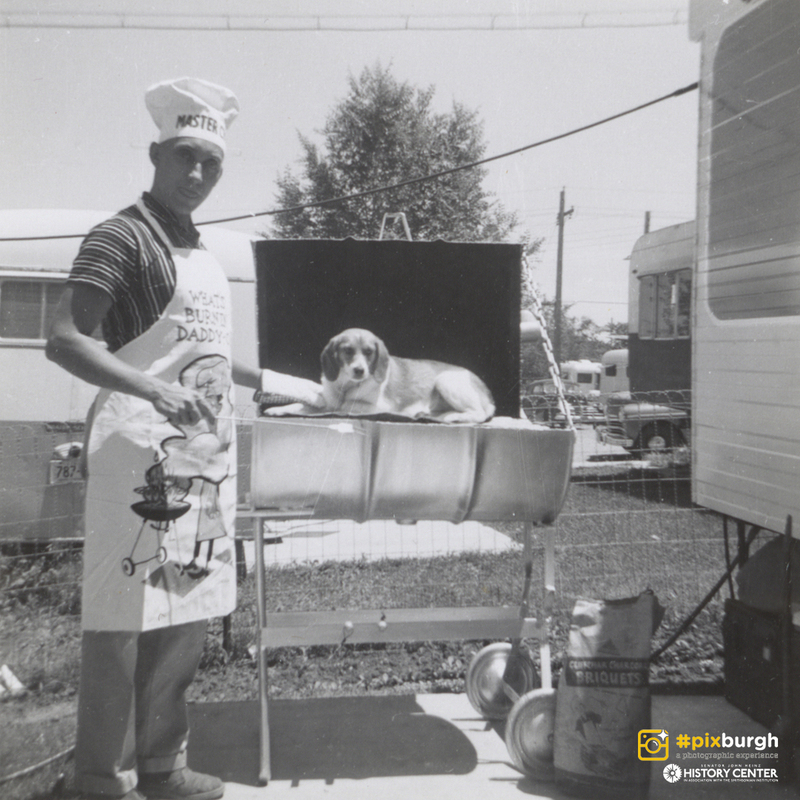 Cindy the family beagle joins the BBQ team, 1958. 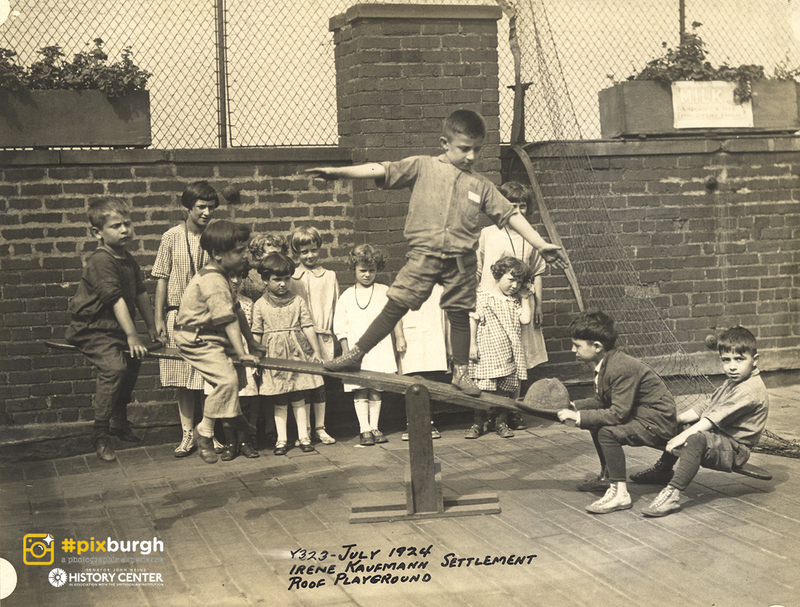 Balancing on the seesaw at the Irene Kaufmann Settlement playground, Hill District, 1924. 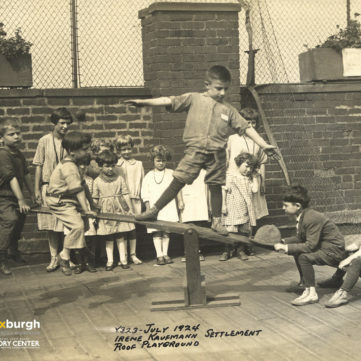 Balancing on the seesaw at the Irene Kaufmann Settlement playground, Hill District, 1924. Children improvise their own method of playing with a seesaw on the roof top playground of the Irene Kaufmann Settlement in this image taken just a few years after the playground was opened in 1921. The playground opened on the Monday evening of Memorial Day, May 30, 1921. 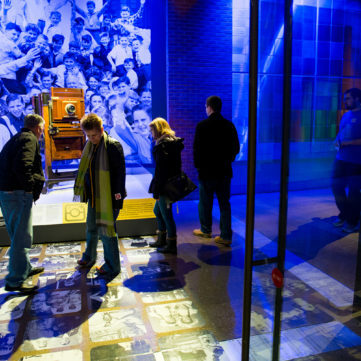 Gift of Jewish Community Center, MSP 389, Detre Library & Archives at the Heinz History Center. Women pilots gather for a portrait at Bettis Field, West Mifflin, 1933. 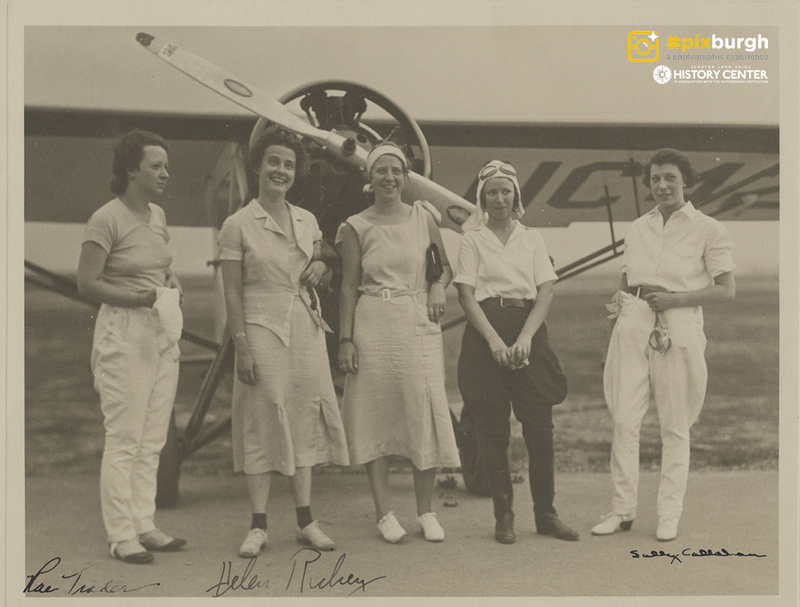 A group of female pilots, including McKeesport native Helen Richey (second from left), gather for a portrait at Bettis Field in West Mifflin in 1933. 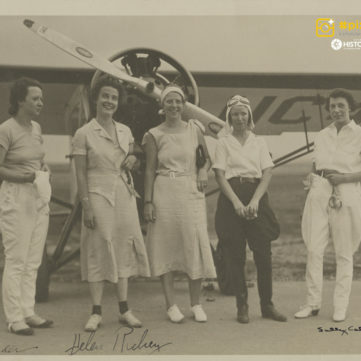 In 1934, Richey became the nation’s first female commercial pilot after she was hired by Central Airlines, a Greensburg, Pa.–based carrier that eventually became part of United Airlines. During World War II, she volunteered her skills transporting planes for Great Britain and the U.S. Gift of Helen Stinner Ball and Barbara Ball Ewing, MSQ 12, Detre Library & Archives at the Heinz History Center. 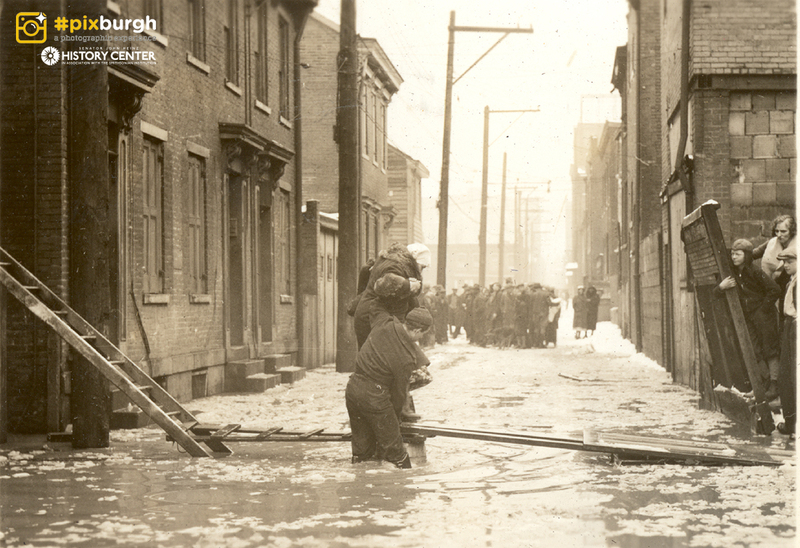 Rescue in Lawrenceville during the St. Patrick’s Day Flood, 1936. Rescue in Lawrenceville during the St. Patrick’s Day Flood, 1936. 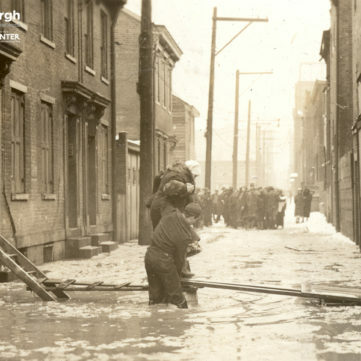 Pittsburgh flooded nearly every spring, but the St. Patrick’s Day flood in 1936 was the city’s worst. Neighbors helped each other out of second floor windows and banded together for the massive cleanup effort. From the J. E. Nelson scrapbook, Detre Library & Archives at the Heinz History Center. 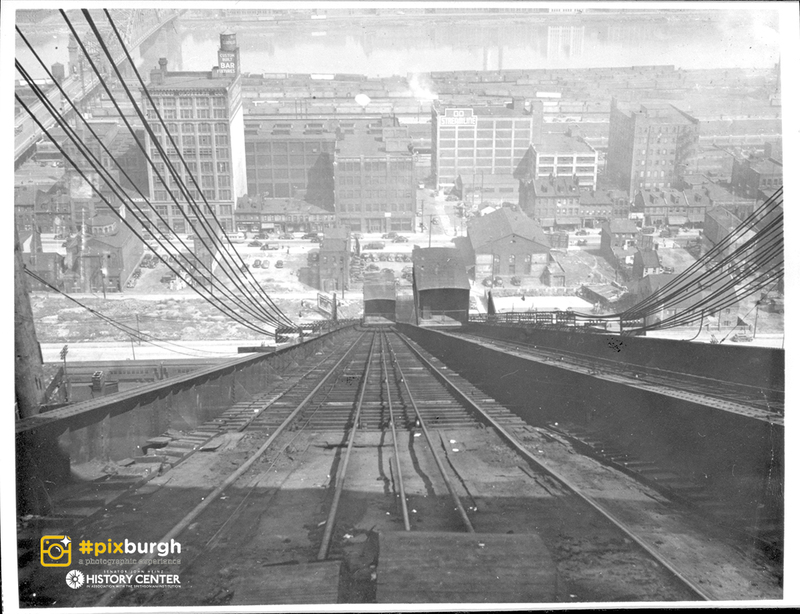 Looking down the 17th Street Incline at Penn Avenue, c. 1940. General Photo Collection, Detre Library & Archives at the Heinz History Center. 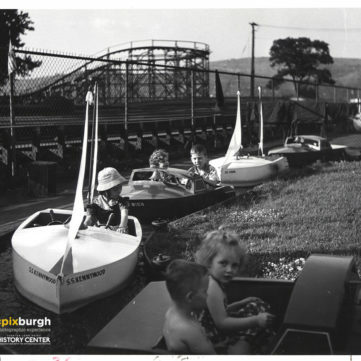 Kiddie boats at Kennywood, 1960s. Gift of Allegheny conference on Community Development, MSP 28, Detre Library & Archives at the Heinz History Center. 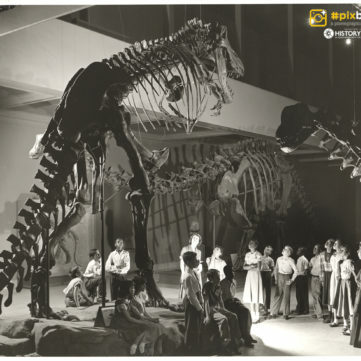 Students ponder T. Rex at the Carnegie Museum of Natural History, Oakland, 1951. 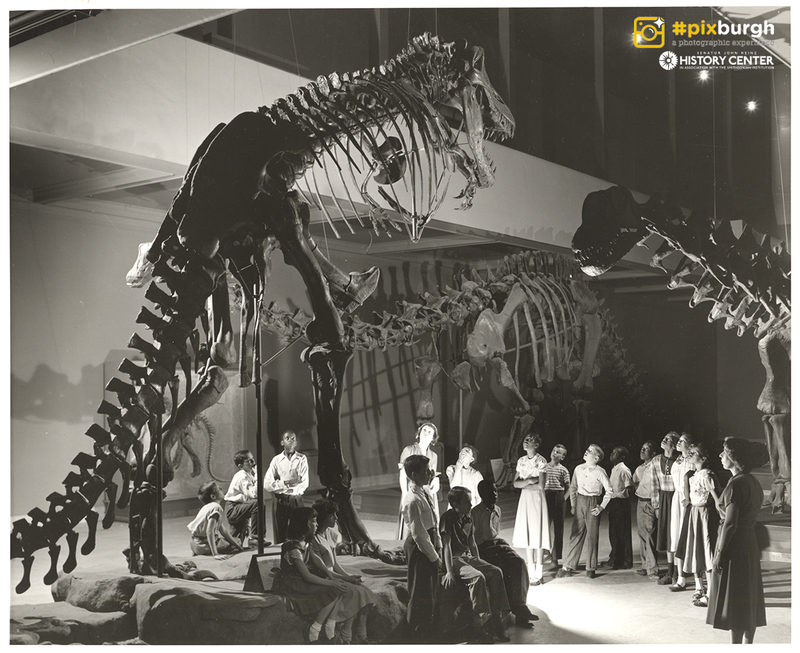 Students ponder T. Rex at the Carnegie Museum of Natural History, Oakland, 1951. School children were not the only ones who stared up in awe at Tyrannosaurus Rex in the old Hall of Dinosaurs. Today we think of T-Rex as the king of dinosaurs and every child knows its name. But when this skeleton debuted at the Carnegie in 1942 it was one of only two specimens of the creature known to exist. The Carnegie purchased it from the American Museum of Natural History in New York City. Gift of Pittsburgh Public Schools, PPS B7 F4, Detre Library & Archives at the Heinz History Center. 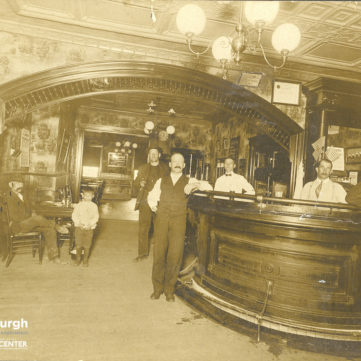 Waiting in line for a beer at a Pittsburgh saloon, c. 1910. 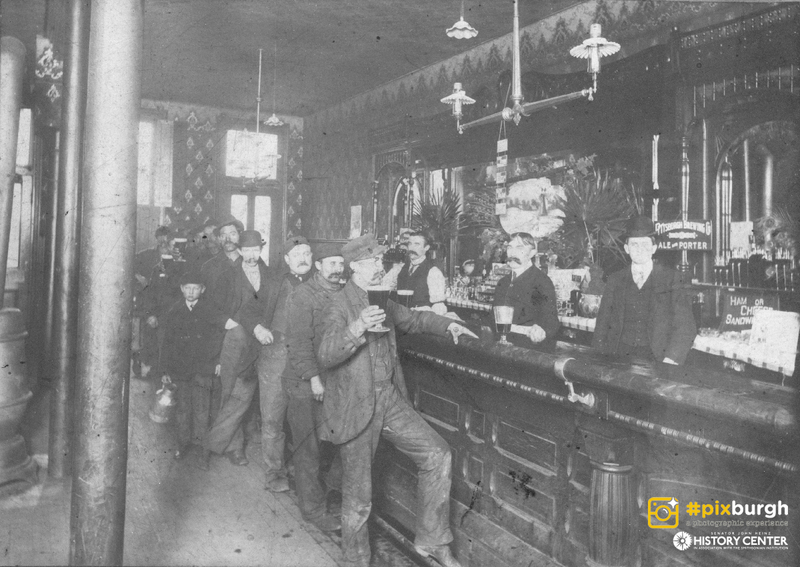 Waiting in line for a beer at a Pittsburgh saloon, c. 1910. Note the boy standing in line at left holding a growler. General Photo Collection, Detre Library & Archives, Heinz History Center. 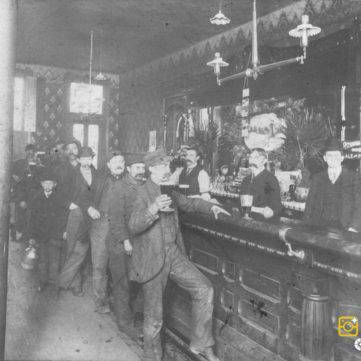 Interior of a South Side saloon, c. 1900. Gift of Bob Cranmer, 1999.0080, Detre Library & Archives, Heinz History Center. 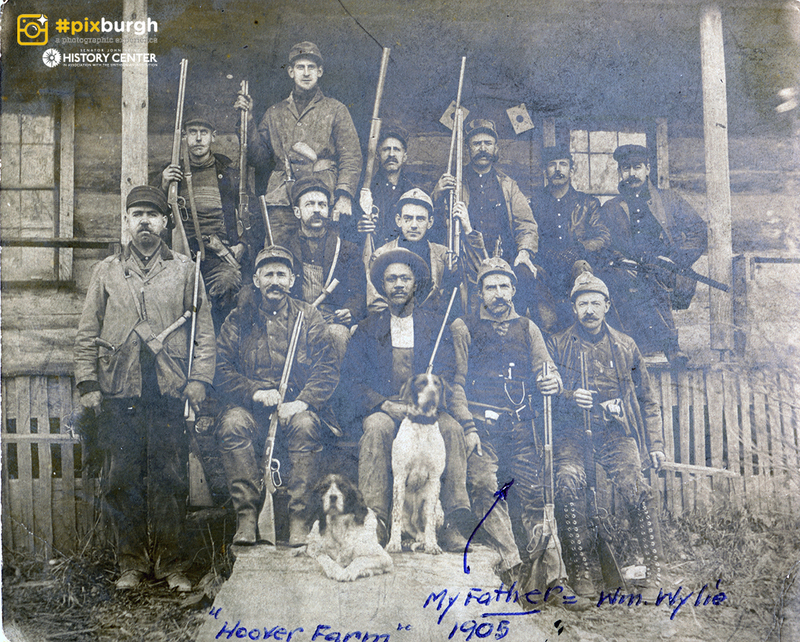 William Wylie and fellow hunters pose at Hoover Farm in Elk County, 1905. 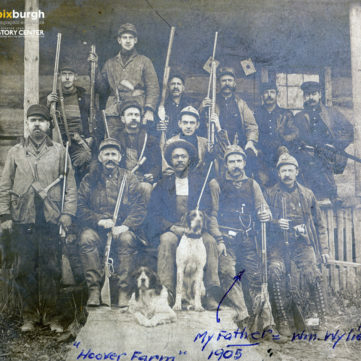 William Wylie and fellow hunters pose at Hoover Farm in Elk County, 1905. Many more hunting camps and lodges opened up during the years between World War I and World War II. In the early 1900s, parts of Pennsylvania suffered from a severe deer shortage due to market hunting. Restocking efforts started in 1906. Margaret Pearson Bothwell Collection, MFF 2275, Detre Library & Archives, Heinz History Center. Frying up the day’s catch at Cook Forest State Park, 1940s. 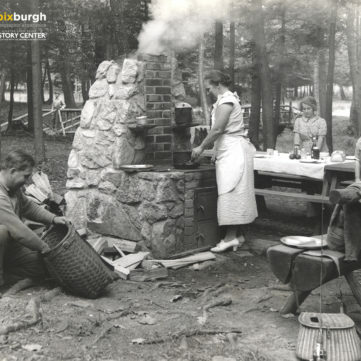 Frying up the day’s catch at Cook Forest State Park, 1940s. A mother prepares an open-air meal in a cast iron skillet as the family waits to eat during an outing at Cook Forest State Park. Created out of land purchased in 1927 to preserve old growth forest along the Clarion River, Cook Forest became a popular destination for Pittsburgh campers and fisherman. Allegheny Conference on Community Development collection, MSP 285, Detre Library & Archives, Heinz History Center. Summer fun at the Ammon Center pool in the Hill District, 1941. 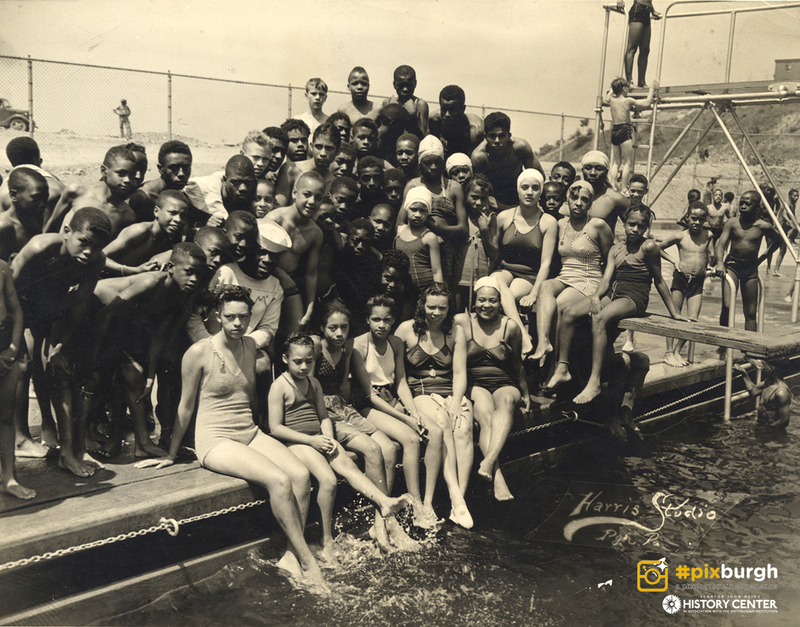 Summer fun at the Ammon Center pool in the Hill District, 1941. Many Pittsburgh residents found summer relief within city limits at public parks and pools. 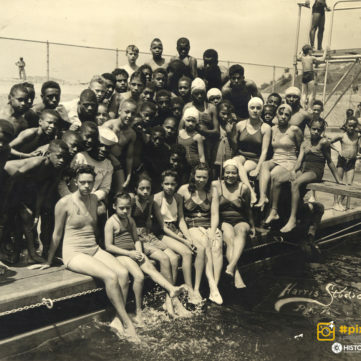 The Ammon Recreation Center, built in 1940, was one of the earliest city pools that permitted use by African-American residents. Dorsey-Turfley family photograph collection, MSP 455, Detre Library & Archives, Heinz History Center. 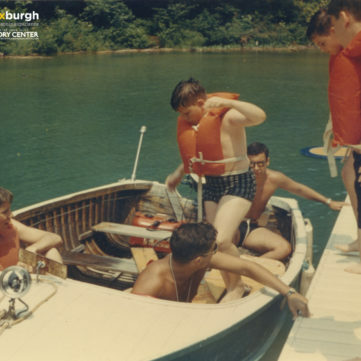 Getting ready for a boat ride at Camp Lynwood near Morgantown, West Virginia, 1960s. 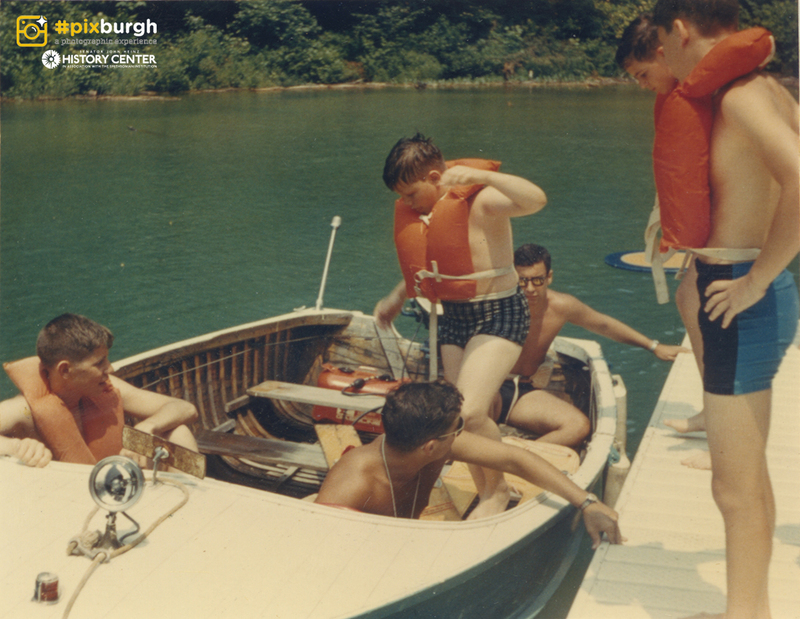 Getting ready for a boat ride at Camp Lynwood near Morgantown, West Virginia, 1960s. 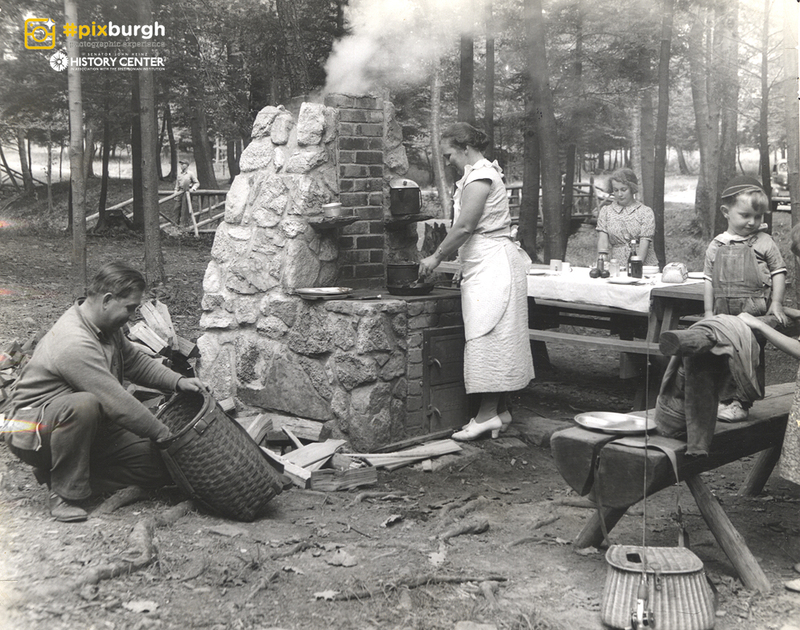 Camp Lynwood was one of multiple outdoor recreation camps that Pittsburgh’s Jewish community operated and maintained through the years to encourage the development of children’s health and well-being. Records of the Jewish Community Center of Greater Pittsburgh, MSS 389, Detre Library & Archives, Heinz History Center. View of the Point, 2015. View of the Point, 2016. The #Pixburgh exhibit explores Pittsburgh’s passion for photography. 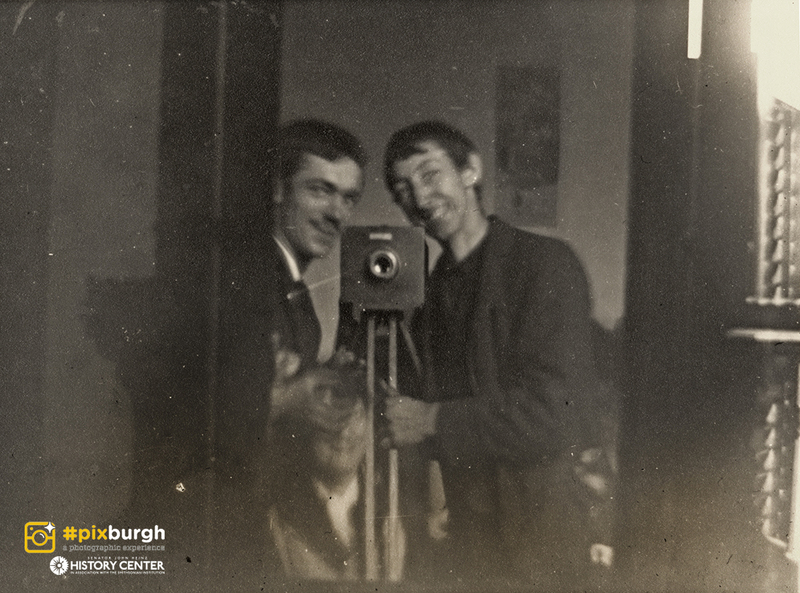 The #Pixburgh exhibit explores Pittsburgh’s passion for photography from the early 1850s through today. See nearly 400 never-before-seen photos. 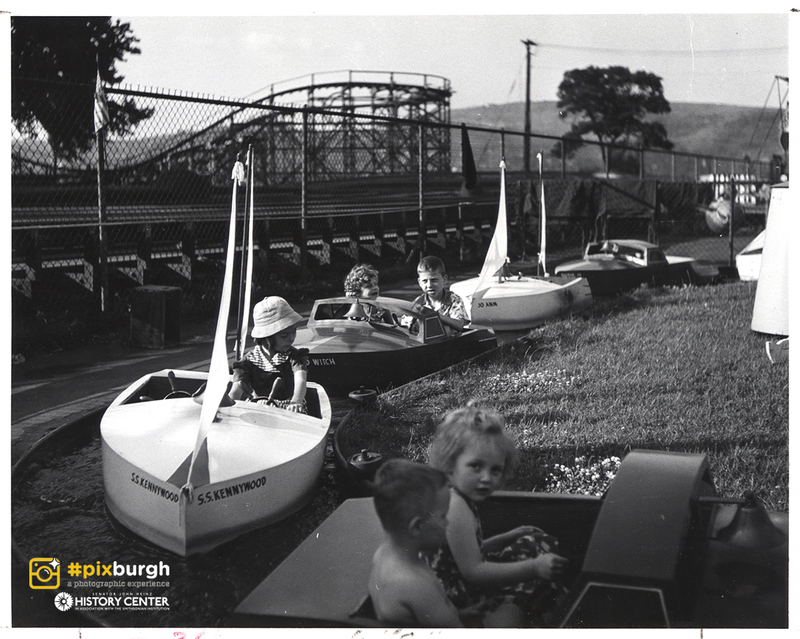 See nearly 400 never-before-seen photos in the #Pixburgh exhibit. 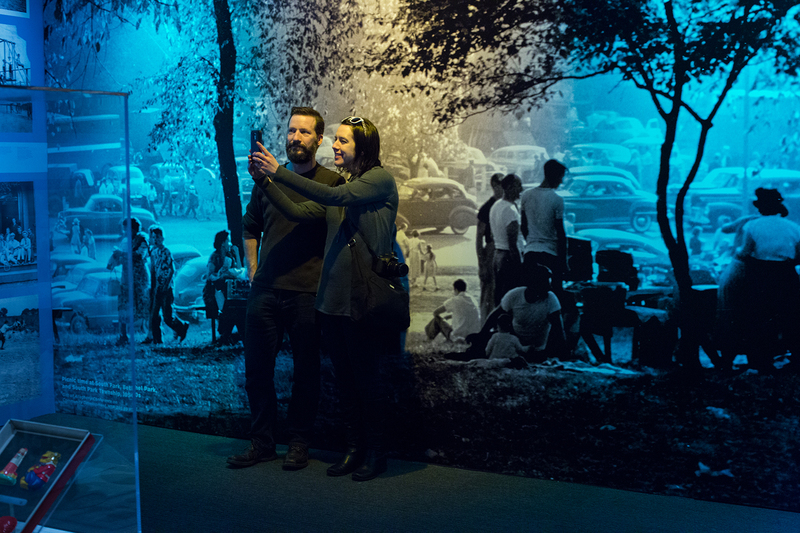 Visitors stop to snap a selfie inside the #Pixburgh exhibit. While other animals also show up in the family album, the dog is clearly the star. Photographs preserve things we value: family, friends, an anniversary, a landmark. Many people would add something else to that list: their dog. While other animals also show up in the family album, the dog is clearly the star. 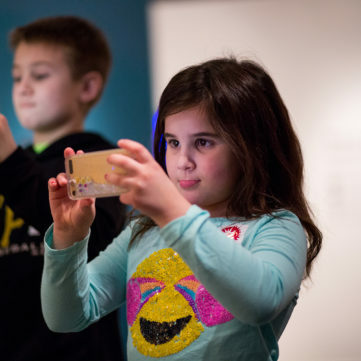 Two young visitors document their own #Pixburgh experience. 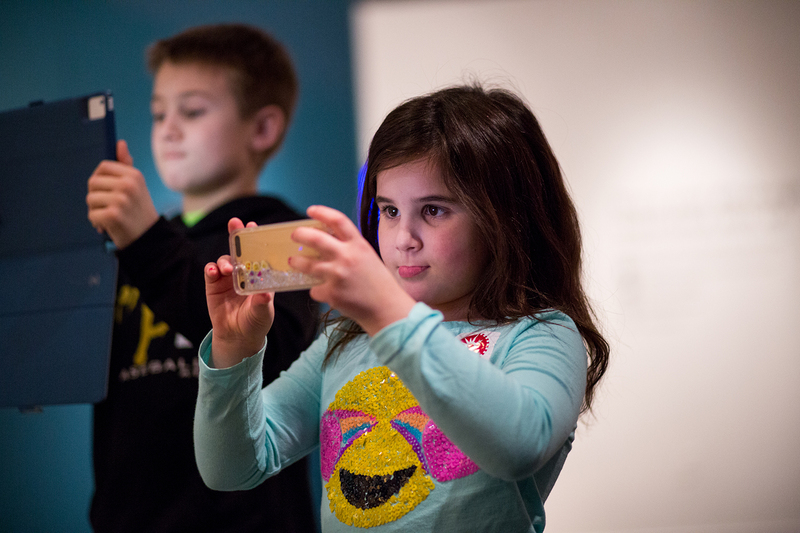 Two young visitors document their own #Pixburgh experience with mobile devices while enjoying the exhibit. Spend time stepping into Pittsburgh's past. 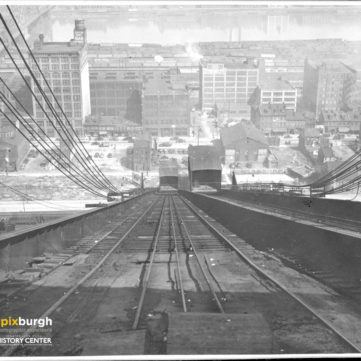 Spend time stepping into Pittsburgh's past and guess where and what year these photos are from. 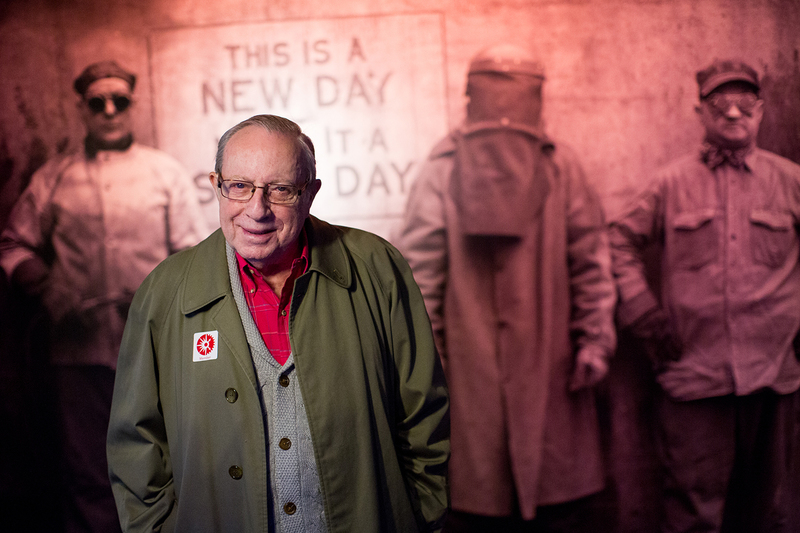 Pittsburgh Photographer Hans Jonas visited the #Pixburgh exhibit. 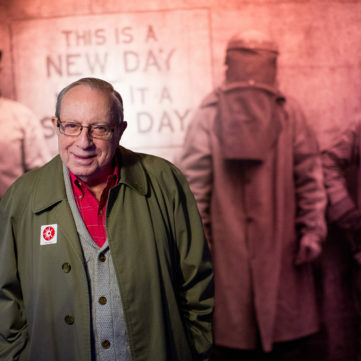 Pittsburgh Photographer Hans Jonas visited the #Pixburgh exhibit. 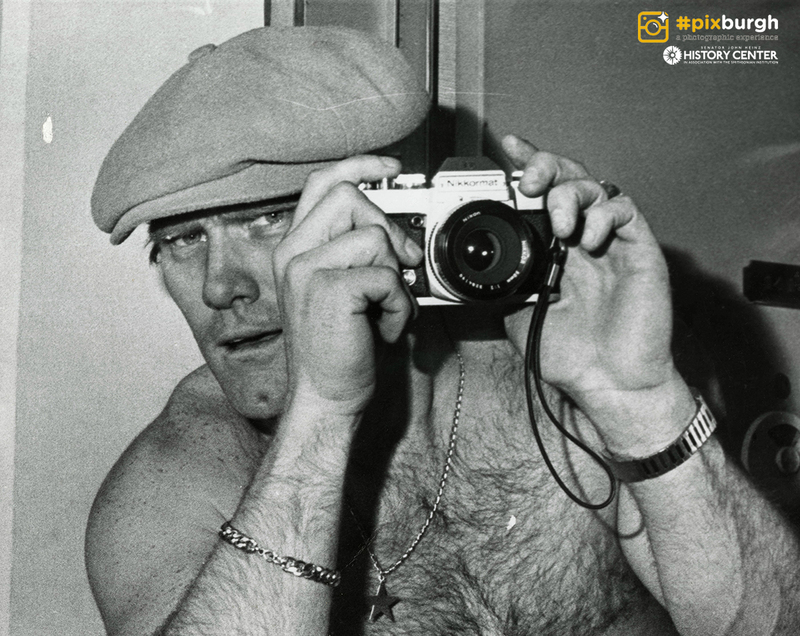 His portrait photography is included in the "Through the Lens" section of the exhibit. 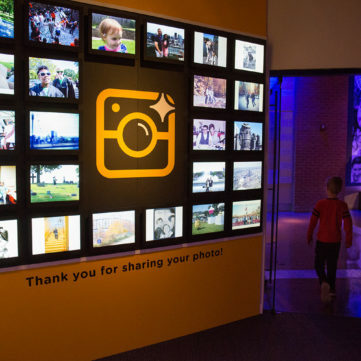 Visit our website to submit your own photo to the #Pixburgh exhibit. 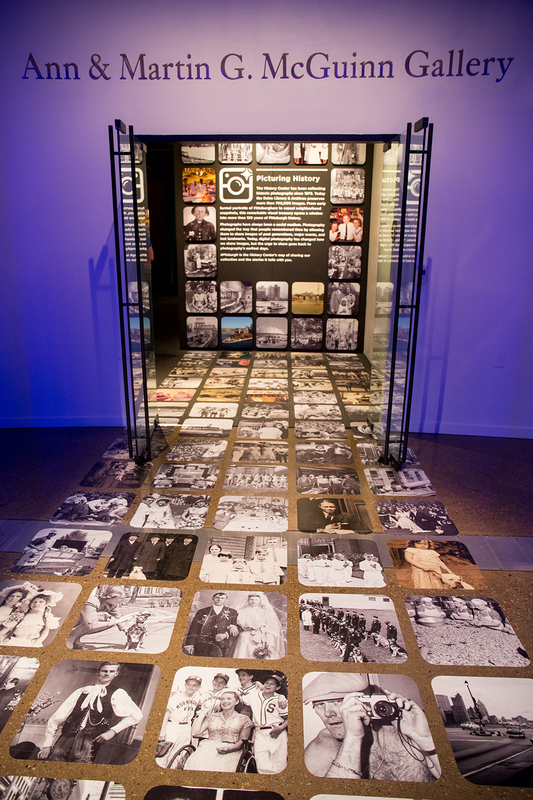 If you could add one of your own photos to the exhibit, what would it be? 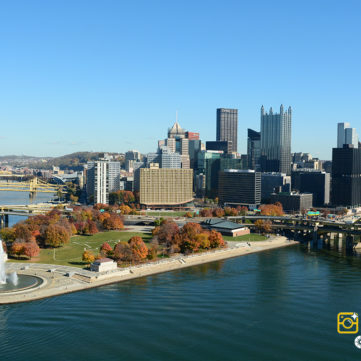 We invite you to dig through your photos, flip through your albums, and check your phone to find a photo that perfectly captures your Pittsburgh experience. Submit your photo online HERE.